EHH – the best hotel management school in Dubai offers authentic swiss hospitality and tourism vocational programs. The objective of EHH is to support the Global Hospitality and Tourism Industry with qualified human capital by offering high-quality Vocational Education fostering authentic, traditional Swiss hospitality programs. These intensive and comprehensive programs are blends of practical modules and academic modules, As a result, successful candidates graduate with “hands-on” Industry experience, as well as operational and management competences. Christopher Columbus, in November of 1493, on his voyage to the Caribbean region, went ashore to inspect a deserted Carib village. 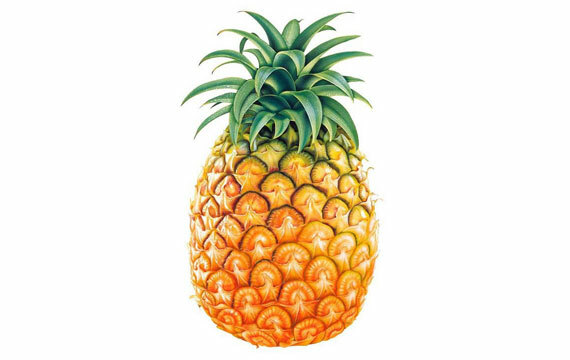 That day, European sailors discovered an exotic fruit and called it “Pineapple”. They enjoyed the fruits with a unique aroma and sweetness. The pinecone exterior and apple pulp interior gives it the name ‘Pineapple’. Dinner hostess would have pineapples adorn dining tables for important events, this said as much about their rank in society as it did about their ingenuity. These beautiful fruits were in such high demand, but so hard to get, that colonial confectioners would often rent them to households by the day. Legend has it, that sea captains, after work, would head home, stopping outside his house to spear a pineapple on a fence post. This would let friends know of his safe return from sea. The pineapple was an invitation for them to visit, share his food and drink, and listen to tales of his voyage. Today, ‘The Pineapple’ is synonymous with Hospitality, welcoming guests to experience unique hospitality. Why choose Vocational Swiss Hospitality Programs? Hospitality programs comprise of both theories with practical, these practical and theory blend are integrated with Vocational education system. Swiss Hospitality Schools is recognized internationally as having produced some of the world’s leading hoteliers as well as some of the most prominent and well known visionary leaders and innovators within the hospitality industry. The demand for graduates from Swiss Hotel schools continues to grow worldwide. EHH proposes authentic Swiss programs, stringent Swiss quality control and an international internship with career opportunities for successful candidates. Our Mission is to support the hospitality, tourism and general service industry with qualified human capital; and in the process create meaningful career opportunities, as well as contribute to a sustainable economic development of global tourism. The strategic decision to establish an EHH campus in Dubai, United Arab Emirates (UAE) comes from the fact that Dubai has successfully established itself as one of the worlds leading tourism destinations. This in turn is the result of the vision of the Ruler of Dubai, His Highness (HH) Sheikh Mohammed Bin Rashid Al Maktoum, to make Dubai one of the leading global tourism destinations offering visitors a SAFE holiday experience along with a wide range of options for entertainment, shopping, leisure or a combination of business and pleasure. Dubai’s success stories and innovative mindset has resulted in attracting all of the prestigious International Hotel Brands (e.g. J.W. Marriott, Hyatt Hotels, Le Meridien, Sofitel Hotels, Radisson Blue, Kempinski Hotels, etc.) while at the same time encouraging the development and establishment of successful local brands (e.g. Rotana Group of Hotels, The Address, etc.). 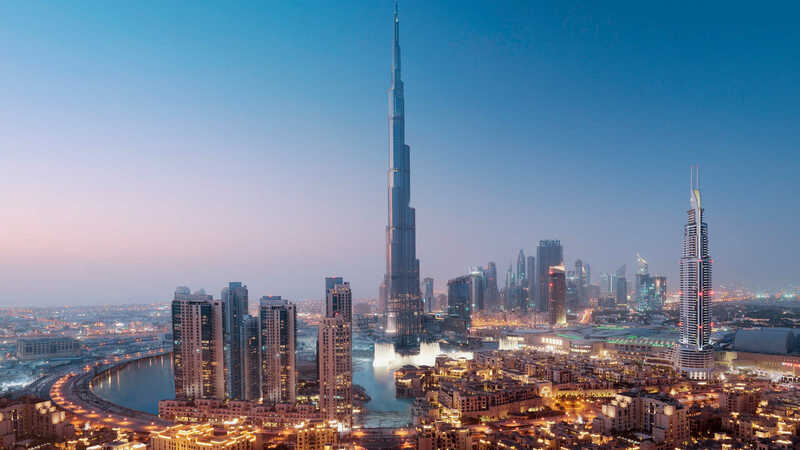 The city also currently hosts the world’s tallest tower, the “ Burj Khalifa”, part of the chain of luxury hotel brands such as Armani, Palazzo Versace, Atlantis and including the world-renowned and iconic hotel, “Burj Al Arab”, just to name a few. Along with this is an equally impressive list of 3-4 Star hotels, Boutique hotels, Business Hotels, Tour operators and various hospitality organizations currently operating in the City. Dubai achieved a new milestone by successfully bidding for and winning the right to host the International EXPO 2020. To prepare for this, Dubai has embarked in a massive hotel and hospitality infrastructure and building project literally worth billions of dollars. This will result in the construction of hundreds of new hotels. Currently, there are already over 500 hotels in Dubai alone with another close to 300 hotels being built for the EXPO 2020 event. In its desire to become not only the leading tourist hub in the Middle East and in the world, Dubai continues to demonstrate a strong, visionary and progressive spirit of innovation and entrepreneurship. At the same time, this will require that Dubai “GROW” its own qualified human capital to help sustain this burgeoning hospitality and tourism industry. These along with encouragement from the industry as well as the support and approval of the relevant authorities is what convinced EHH to offer its professional Hospitality and Tourism Education and Training program in this world-class city. We invite industry partners to support our cause. The programs we have developed have to be aligned with the skill and knowledge required by the industry. For EHH to achieve this, it is imperative that we build a strong relationship with the industry. At EHH, we can efficiently update the programs to reflect the continuously evolving and changing hospitality and tourism industry conditions and needs. We welcome and intentionally invite guest speakers from the industry to meet and talk to our students. We are continuously seeking more practical industry exposure opportunities for our students. We strongly believe that the quality of our graduates has a direct relationship to the amount and level of their exposure to the actual industry. Our goal is to not just produce qualified graduates but professionals who are highly sought after and desired by the hospitality, tourism, and other related industries. Consequently, a significant part of our program includes arranging for each student to experience what it means to work in the hospitality, tourism and other related industries. At EHH, we also encourage corporate organizations or education foundations to participate and support our sponsorship program. Especially for those who are truly passionate about the industry, we will seek to offer study grants, scholarships, and student loans.